COURTESY PHOTO Democrats meet and greet voters at a candidates night at the Pridwin. 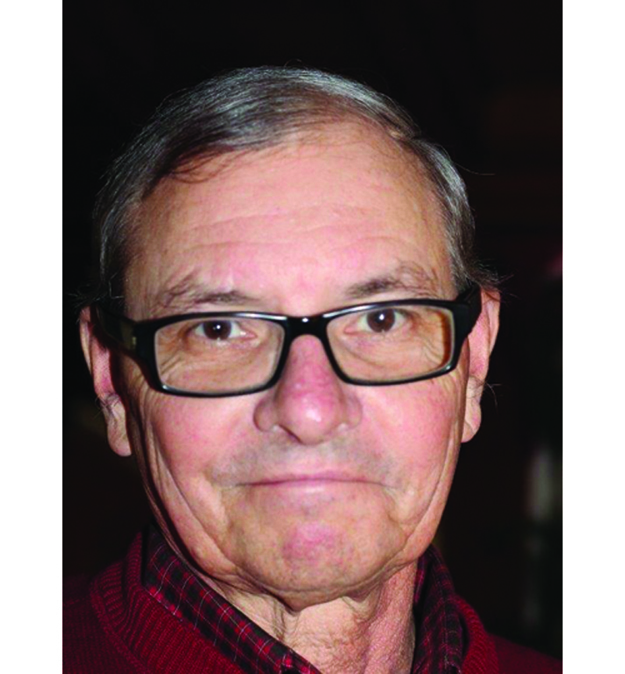 COURTESY PHOTO | Robert Reylek said he’s running for a Town Board seat to support Supervsior Jim Dougherty and bring a more civil tone to Town Hall. Democrat Robert Reylek is running for a seat on the Town Board to bring a liberal voice to Shelter Island’s government. Mr. Reylek is challenging two long-time Town Board incumbents, Chris Lewis, running on the Republican and Conservative tickets, and Ed Brown, who is on the Conservative line. In a three-way election, if Mr. Reylek — who also has the Independence and Working Families lines — can summon enough votes to come in second or first on November 5, he can begin to put his ideas into action January 1. A third place finish for the Democrat means the incumbents remain in place. Mr. Reylek agreed with one opponent, Ms. Lewis, on the so-called “dark skies” legislation, a contentious issue debated for months and passed in July regulating commercial and residential outdoor lighting. Ms. Lewis was a strong advocate for the law. There was no equivocation when it came to squaring off with Mr. Brown, however, who voted against the local lighting law. He was opposed to it on several counts; one important objection he voiced is it was another example of government overreaching its responsibilities, he said. Mr. Reylek also said he was running to ensure fellow Democrat Supervisor Jim Dougherty can rely on him for support. Mr. Dougherty and Democrat Highway Superintendent Jay Card are both running unopposed. Seeing his candidacy as an opportunity to increase voter turnout, Mr. Reylek said “we need some competition in this election or nobody would be voting at all,” he said. He’s the husband of Heather Reylek, chairwoman of the Shelter Island Democratic Committee. He said he didn’t jump at the chance to run for Town Board. “There was a lot of thought involved,” he said. He’s currently vice president of the Lions Club, is a director for the Shelter Island Association and owner of the local general contracting company, Robert Reylek, Inc.
He’d been approached by residents asking him to run, he said, because they thought it was time for a change on the board. “People have been there a long time,” Mr. Reylek said. Mr. Brown was appointed to the board in 2001 and has served ever since and Ms. Lewis was first elected to the board 11 years ago.